2016 has been another great year of beer related discovery for me. I enjoyed new experiences and new brews and I have taken great encouragement in how my blogs have been received this year. Unfortunately, increased commitments at work have taken their impact on my ability to blog regularly; especially in the latter half of 2016. I hope this might improve in 2017! 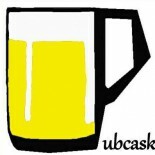 Below is a month by month recount of my 2016 Pubcask highlights. Enjoy! Once the reviews of 2015 were done; my first blog post was a brief review of a Direct Beers Gift Pack I received for Christmas. The Month finished with a visit to Colchester Winter Ale Festival. Like in the previous year; this was a good experience. I must also highlight the excellent work the volunteers do there. Easily the most accommodating and welcoming I have seen at a festival. February was a month of CAMRA related posts. I started by reviewing my first year with CAMRA at the beginning of the month. I am still very much an active member within CAMRA and I am pleased with the proposals the Revitalisation committee have suggested in order to make CAMRA more relevant. My second CAMRA post was my argument for how the Good Beer Guide should in my opinion change. I still hold to these views and would still like to see WhatPub given greater publicity and attention. The last of these posts related to problems with CAMRA Young Members. This for me remains a challenging area CAMRA needs to desperately address. February also saw me visit Durham and Edinburgh. I had some truly outstanding pub experiences. Samuel Smith’s Old Brewery Bitter from the wood being a particular highlight of Durham. The pubs I visited in Edinburgh were fantastic; many of which were architecturally magnificent. March saw my friend Karl’s debut with his entertaining tribute to Adnams Dry Hopped Lager. I also enjoyed for the first time Moor Beer Company’s Raw. A can conditioned Best Bitter. Superb. Additionally in March I reviewed the Good Beer Guide App. Since then the app has been updated and has experienced difficulties which is disappointing. The next post in March was my ‘Beginners Guide to a Beer Festival’. I enjoyed writing this and hope that it is useful. The month finished with a blog about our visit to the Stanford Arms in Lowestoft for their Yorkshire themed beer festival. I am delighted to see that this pub is in the final four of CAMRA’s Pub of the year award. Great news for Lowestoft. My first piece in this month was my review of the outstanding Complete Beer Course by Joshua Bernstein. Despite being American beer focussed this book was hugely informative and educational. Also at the start of the month Karl and I reviewed a number of bottles from new Suffolk/Norfolk Brewer Aleyard. Graeme the brewer is innovative and I am sure we will enjoy more of his beers in the future. Our next experience was an outing to Cambridge for a CAMRA Revitalisation meeting. The meeting was incredibly interesting! It also highlighted for me where CAMRA’s problems are. On a side note it was my first proper day out enjoying beer in Cambridge. An excellent beer destination. I also finally got round to reviewing the beers I purchased from Durham Brewery when up there in February. Some excelllent ales; particularly their stronger brews. The last thing I did in April was attend a Beer Academy Foundation Course in Beer Appreciation. A good experience; I am hoping to do the next level of the course in early 2017. In this quiet month for days out; I did find time to Blog about some honey beers I was given as a present. Hiver Beers. June started with one of my favourite activities to do: A Norwich City of Ale Pub Crawl. I didn’t produce a blog for this but trust me; it was superb as ever! I also headed to Cheltenham in June to a CAMRA Young Members meeting. I stopped by Jessop House (owned by Wild Beer Co.) for some excellent beers. I also visited the Sandford Park Alehouse (winner of Pub of the Year) which was very pleasant. Huge choice of beers. Last of all; I attended a course which saw me next door to the famous Jerusalem Tavern. Owned by St Peters; I had to give it a crack! This started as a quiet month until I visited Lowestoft Town’s beer festival in the middle of the month. It is a great festival and I hope to see it grow. I was also honoured to have last year’s blog about the festival published in the programme. The end of the month saw Karl and I complete our annual Beer Harvest. Great fun as ever! Most of the tweets about bottled beer over the summer came from this one outing! August was a bumper month! August started with a brief review of Cloudwater’s DIPA v4 and v5 release. The major event of August was my annual visit to the GBBF. It was a great experience as ever but probably the weakest beer list I had seen at the festival. Immediately following GBBF was a trek to the Stratford St Mary Swan in rural South Suffolk. We had an absolutely fantastic time and were honoured with a few treats from their brewer Ed. I have only recently found out that Ed is now moving on to Adnams. Good luck. I also discovered the beautiful complex flavour of Rodenbach for the first time in August. Karl wrote a blog about this and other Lambic beers. Next came our first ever visit to Peterborough beer festival. This was a great day out and probably one of the best beer lists I have ever seen for a festival. Our blog about it proved incredibly popular! I was honoured to be invited to be a judge at the Briarbank homebrew competition in Ipswich over the Bank Holiday weekend. Great fun! I finished the month by opening up a discussion on whether the Champion Beer of Britain should be more accessible to consumers. This month saw a review of the Wortwell Bell Pub. I also reviewed Jeff Bell’s So you want to be a Beer Expert? I ended the month by attending a CAMRA Young Members meeting in Cambridge. I found the cask ale quality in the establishments we visited to be superb. Reaffirming in fact. I went on Holiday to Madeira in October this year (meaning I missed the Norwich Beer Festival for the first time in a while). Very few beer highlights to report other than the Tonica Stout produced by the island brewer Coral. This month saw more Twitter based beer tastings before visiting my local festival: Beccles. For me, the best small beer festival in East Anglia. 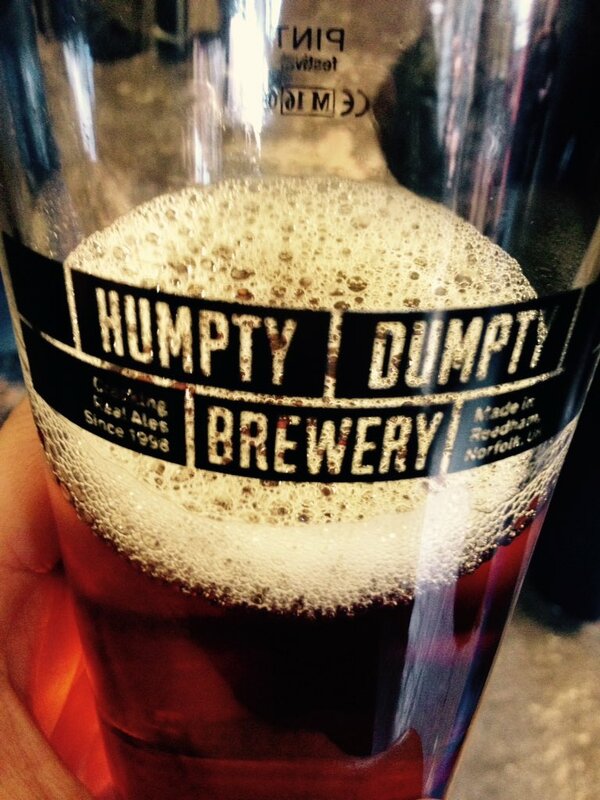 Sadly this month was again quiet blog wise but I did make another visit to Humpty Dumpty’s Brewery Open day and make my annual Christmas pub crawl around Ipswich. See Tweets for more info. I wish you all a very healthy and prosperous New Year. Thank you for reading. This entry was posted on December 30, 2016 by Chris Stone in Beer Book Reviews, Beer Shops, Beers, Breweries, Days Out, Pubs and tagged Adnams, ale, Beer, Beer Festival, Beer Shops, Beers, Belgian Beer, Bottled Beer, bottled beers, Briarbank, CAMRA, colchester arts centre, Colchester Brewery, colchester winter ale festival, Craft Beer, gbbf, Ipswich, Ipswich Beer Festival, London, Norwich, pubcask, Real Ale, real ales, Suffolk.